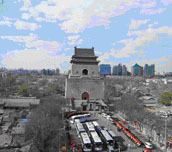 Beijing city tour, 5 days Beijing-Chengde Tour! Arrival in Beijing. Visit the Temple of Heaven with its outstanding round shape covered by an exquisite triple roof of blue tiles where the Emperor used to pray for good harvest. Later, stroll in the charming traditional quarter of Dazhalan before dinner. Lunch and dinner at local restaurants. Breakfast at hotel. In the morning, walk on Tian An Men Square before a visit of the Forbidden City and its Imperial Museum, the former residence of Ming and Qing dynasties. 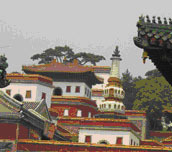 After lunch, visit the summer palace located in the outskirts of the city. Lunch at local restaurant. In the evening, enjoy famous Beijing Roast Duck for dinner. Breakfast at hotel. Depart for Chengde and visit on your way a well-preserved and non-rebuilt section of the Great Wall at Jinshanling. Located some 110 km away from the Capital, this section of the wall is considered as the most beautiful one dating back to the Ming Dynasty. Continue your journey to Chengde. 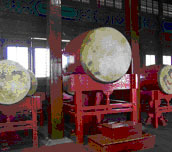 Chengde, located in a hilly area northeast of Beijing, has been listed in 1994 with the UNESCO World Heritage Monuments. Lunch and dinner at a local restaurants. Breakfast at hotel. Drive back to Beijing with a stop at Gubeikou Great Wall, another section of the Great Wall, completely virgin from tourist affluence where you will enjoy different scenery from Jinshanling. Lunch at local restaurant. Drive to airport for departure flight to your next destination. Our tour prices are inclusive of 4 star hotel accommodation in twin shared room, meals as specified in the program (B=Breakfast, L=Lunch, D=Dinner), transfers and tours with English speaking local guides, all entrance fees, room taxes and baggage handling.